1) I love wine. Not just in a superficial “I like getting a buzz on” way but in a much deeper way. I love the smell. I love the way holding a wine glass feels in my hands. I love the intimacy of sharing a glass of wine with people I care about. I love the atmosphere of wine bars. I love spending a glorious sunny day at a vineyard touring and tasting. Oh and coincidentally, I also love cheese, chocolate, pasta, steak and pizza, all of which go amazingly well with wine. (You think I’m kidding about the pizza but there’s nothing better than some Pinot Noir and a pizza topped with mushrooms and green peppers…) There’s also just something awesome and calming about nearly everyone I’ve ever met who works in the food and wine industry. They all seem so relaxed and happy. They take pleasure in the simple things in life as well as the finer ones. They take time to stop and smell the roses so to speak. I’ve begun to start channeling my inner “tasting room liaison” whenever I’m super stressed out and have been reminding myself daily to not take everything so damn seriously all the time. And yes, that’s an actual title of one of the awesome fellows at Flora Springs Winery. 2) Being outside instantly improves my mood. So yeah, I should probably do that more often. I already knew I was a certified beach-lover for life but I’ve expanded my outdoor obsession to now include, mountains, valleys, pretty much any area of picturesque landscape, nature-y smells and sunshine will do in fact. Ehlers Estate for some classy tastings with a majestic setting and expert staff. 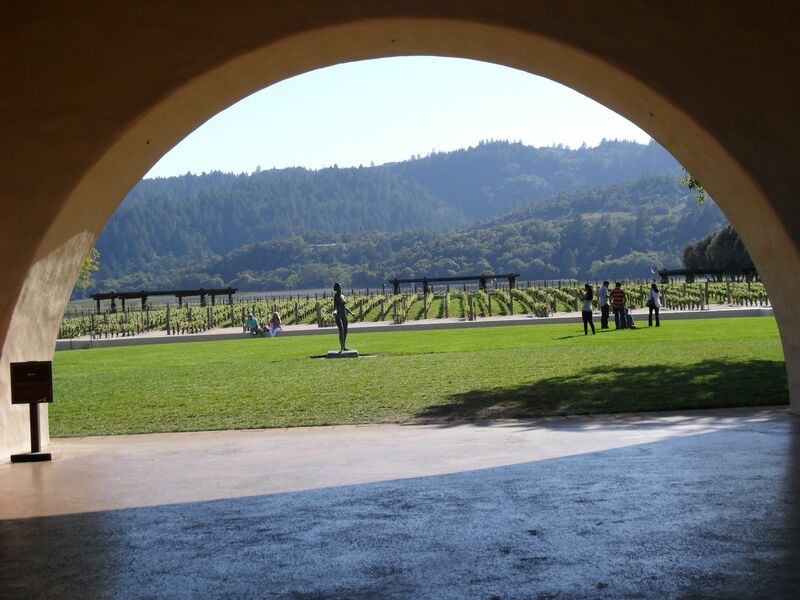 Robert Mondavi for the views and to say you’ve been there. Flora Springs Winery and Vineyard for their cool tasting room, outdoor patio/deck area and fun social media savvy staff! Ad Hoc for dinner. It’s a Thomas Keller restaurant which admittedly meant little to me before, but once I was briefed on his other restaurants I was all “ohhh fancy.” It was pretty amazing in all seriousness. The chef sets a 4 course menu each night and they are very accommodating to food allergies and vegetarians etc. They had a cheese course. A whole course dedicated to cheese! This course came between dinner and giant family style ice cream sundaes. Also, they made cauliflower taste not just ok, not just good but actually delicious – and twice! Once in a tiny little cup of creamy cauliflower soup and once as a grilled entrée. There was also pork belly, veal, polenta, and a famous fried chicken which unfortunately wasn’t on our menu that night. Are you salivating yet? Until I can return to wine country for an extended stay, please enjoy my photos and have a glass of wine for me tonight friends! 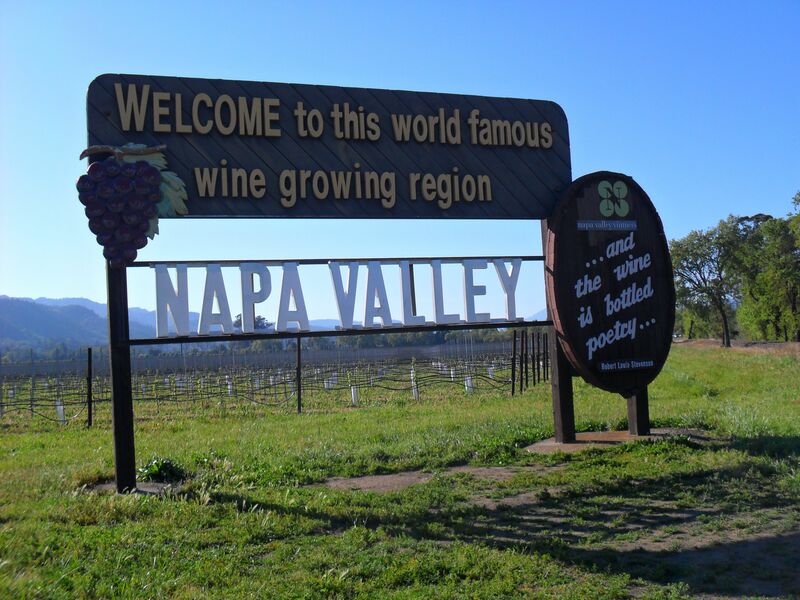 Jenny and I will have to put Napa on our “short list”. Great pics!